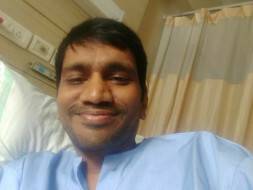 My spouse (Husband) Mr. Nilesh L. Raut is under medical treatment for rare case of blood cancer and he is admitted in CMC, Vellore since mid Jan 17 struggling for survival. Medical experts suggested him for three cycles of chemotherapy followed by bone marrow transplantation (BMT) costing about Rs.62,00000 (Rs. Sixty two lakhs). After this treatment he will be cured and will be back to normal. He is only son with single parent mother. As all of sudden this huge amount is required, we are facing difficulties to raise the amount. Until now we are able to manage Rs.15-16 lakhs and We are in badly need of shortfall amount and is to be raised in a short period of time. Any monetary help from your side is going to be helpful to us. Requesting to you to help us by contributing as much you feel comfortable. You may contribute this amount to my bank account mentioned below. With a heavy heart we regret to inform you that Nilesh is no more. All the funds raised were utilized for his treatment. Please pray for his soul to rest in peace.Thank you for your support. This an update regarding Nilesh treatment as of now. 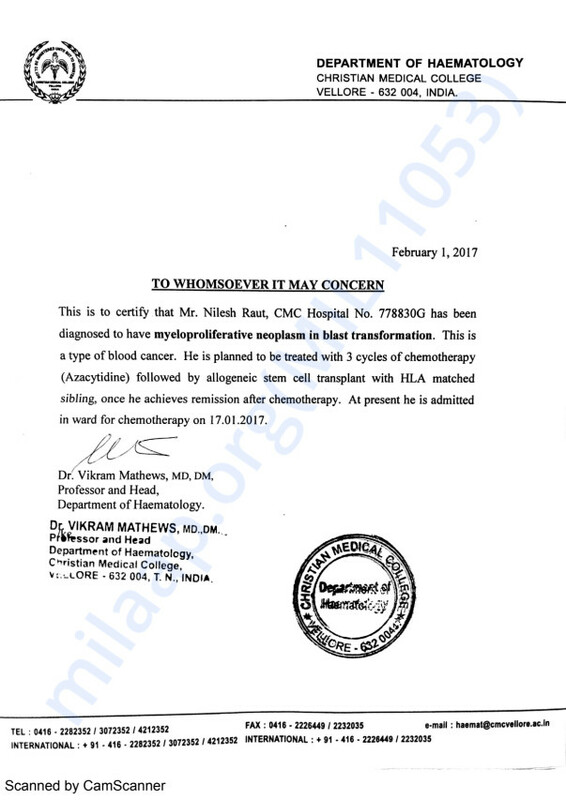 Nilesh was admitted to CMC Vellore hospital on 16th of January. Currently, he is undergoing 3rd round chemotherapy sessions. The doctors are still searching for a donor to undergo the Bone marrow transplant. 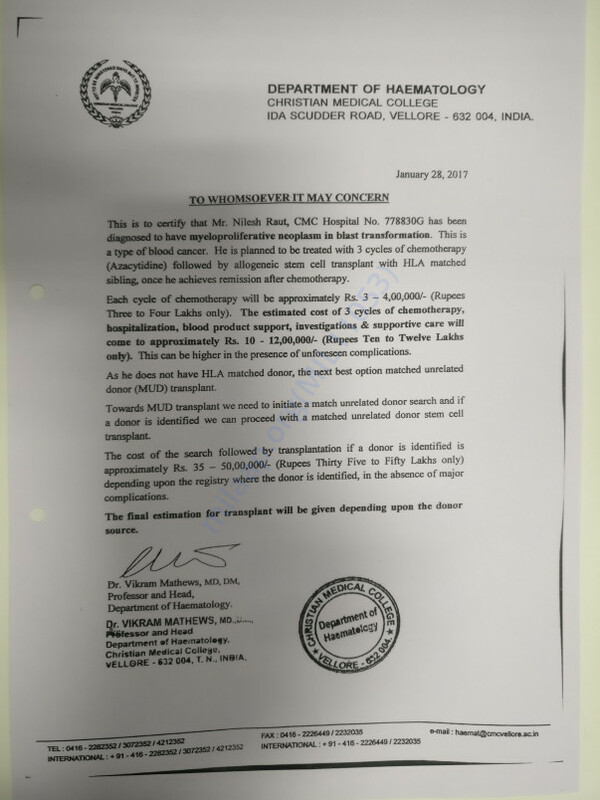 The response from the Indian registry of donors has not been positive and neither the response from the donor's registry in the USA. Once they find a suitable match they will go ahead with the transplant.